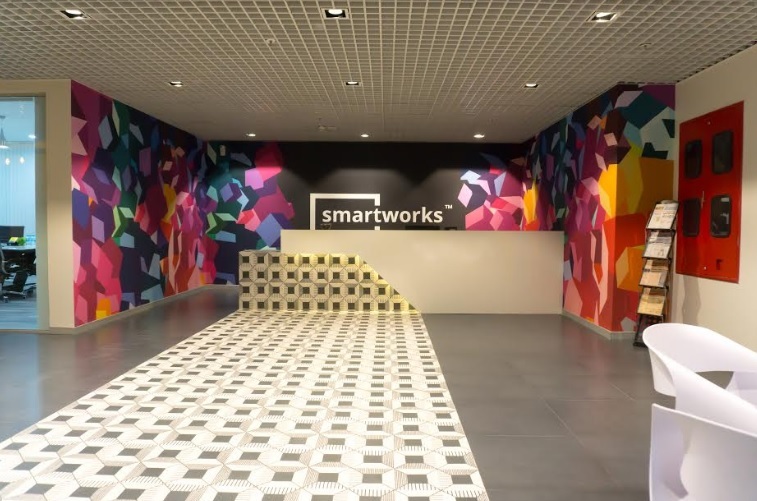 Smartworks, India’s leading provider of agile workspaces, today announced the leasing of two new facilities in Delhi NCR; one on Delhi-Noida Expressway and the other in Gurugram. The two new centers span more than 3 lakh sq. ft. in total with a combined seating capacity of 6500 seats, providing impetus to the company’s aggressive expansion plans. With these new spaces, Smartworks has increased its footprint in Delhi NCR to over 4 lakh sq. ft. spread across 6 centres. The Delhi-Noida Expressway center is a one of its kind state-of-the-art campus which will provide recreational facilities, F&B services, and a fitness center among other amenities. The two facilities are already 40% pre-booked showing the robust demand for agile workspaces. The two new centers boast top-of-the-line global systems like productivity-driven and tech-enabled workspaces as well as biophilic architecture. Members also have the option of configuring office spaces to stimulate greater employee productivity and engagement. Smartworks, which focuses on enterprises, is also actively developing collaborative technology solutions like smart amenities like laundry and grocery, smart security and smart parking services to deliver a seamless experience to members. Keeping in mind the dynamic nature of today’s office goer, Smartworks’ facilities have various amenities including a crèche, gym, cafes and sleeping pods among others. “Since inception, we have already invested over USD 30 Mn in the business. This coupled with our focussed strategy targeting the enterprise segment has resulted in us being the only profitable startup in this space in India. We are constantly adding new facilities to our portfolio leading to exponential growth of our footprint. In addition, riding on our brand effect, developers have reached out to partner with us and in process we have locked in over 2 Mn sq. ft of built to suite facilities which will come up in 2 years. We have exceeded our internal targets and our very bullish of reaching our ambitious goal of setting-up 20 m sq. ft. of agile workspaces across India over the next few years,” said Neetish Sarda, Founder, Smartworks. “Delhi NCR is one of the leading metros where the office space dynamics are witnessing a shift. Several large enterprises who are focussed on reducing overall costs for office spaces prefer agile workspaces as it leads to cost savings of more than 15%-30% on enterprise level. Gurugram and the Delhi-Noida Expressway are two of the most important business hubs in North India, with several large domestic and international firms, across sectors, either establishing or expanding their footprint here. Our two new centres aim to address the continuously growing demand for agile workspaces in metro cities,” he added. Since its inception in April 2016, Smartworks has been aggressively expanding its footprint across key cities in India due to the growing demand for agile workspaces. The firm plans to expand its footprint to 20 million sq. ft. over the next three to five years. According to a recent report by property consultant Cushman & Wakefield, in 2018, co-working players leased nearly 5 million sq. ft. of space. This is the highest ever annual leasing recorded for the co-working segment. Smartworks is India’s largest provider of agile workspaces, with a footprint of more than 2 million sq. ft. across 20 locations in 9 cities (Delhi NCR, Kolkata, Bengaluru, Mumbai, Hyderabad, Chennai and Pune) catering to more than 500 organizations across large enterprises, SMEs and start-ups. Founded in April 2016, Smartworks is redefining the Indian office experience by focusing on design, hospitality, technology and customer delight experience. Smartworks is also the only Indian agile workspace provider to have become profitable in India. Central to this ambition is the company’s motto, ‘Workspaces that work for you’, with the vision of creating the perfect environment by just not building communities, but also ensuring their member employees are productive in the workplace. For more information, please log in to www.smartworksoffice.com.